Nederlandse Publieke Omroep (NPO) is the Netherlands Public Broadcasting system, within which individual broadcasting associations operate. NPO arose from the country’s former practice of pillarisation, in which the various religious and social groups organized their own institutions (including broadcasting) with financial support from the government. 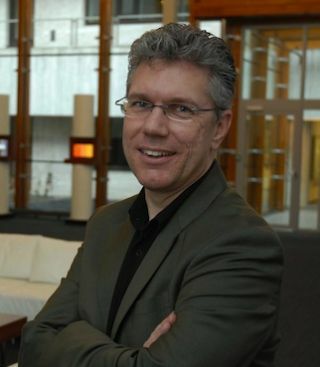 Egon Verharen heads the encoding and streaming platform for NPO’s Broadcast and Distribution directorate. While the system of pillarisation is largely gone, the broadcasting associations themselves have remained active, sharing common facilities and infrastructure. These associations share three national television channels (Nederland 1, Nederland 2, Nederland 3), six radio channels and an online offering. NPO is financed from government grant-in-aid payments raised from general taxation; income from on-air advertising; and a small portion of dues paid by members of the broadcasting associations. NPO ICT is NPO’s internal service provider for network connectivity, Internet hosting, application support, desktop support and encoding and streaming services. Their goals of developing a comprehensive ‘new media’ strategy and integrating it into the existing infrastructure carried with them some extensive requirements. The encoding and streaming solutions would be used both for NPO’s ongoing multiscreen offerings as well as the country’s official online and mobile coverage of numerous high-profile, premium events – including European and world football championships, Tour de France cycling and the Olympic Games. It was therefore crucial that the solutions provide the reliability, quality and flexibility warranted by the importance and visibility of these projects. After extensive evaluation, Digital Rapids’ encoding solutions were found to meet NPO’s requirements. NPO deployed their first Digital Rapids systems in 2007, and further expanded their streaming operations with the purchase of 10 new dual-channel Digital Rapids encoders in 2012 in support of projects including NPO broadcaster Nederlandse Omroep Stichting’s (NOS) online and mobile coverage of the London Olympic Games and now the Sochi Winter Olympics. The Digital Rapids systems are in constant, full-time operation, encoding live SDI source video feeds of the public broadcasting channels as well as dedicated event and theme channels. The encoders’ flexible format support is a key benefit for NPO as they migrate from traditional streaming protocols to HTTP-based adaptive streaming while bringing content to devices from desktop computers to tablets and mobile phones and connected TVs. NPO has launched a new website (NPO.nl) to provide viewers with one convenient online outlet for all channels. NPO.nl offers live programming streams and gives viewers the ability to catch up on shows via video on demand (VOD). The new site features an HTML5 player compatible across all modern browsers plus full social media integration. Dedicated apps for iOS and Android are also offered. The multiple previous websites of the NPO have been among the top ten most visited websites in the Netherlands, and the new combined site makes access easier for viewers while providing a first step in the development towards a more recognizable public broadcasting identity.